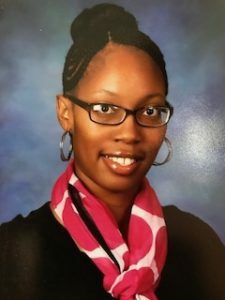 Collaborative Classroom is honored to spotlight second-grade teacher Nicole Clardy from Desoto ISD in Desoto, Texas, for our Teacher Spotlight. Nicole appreciates how Collaborative Literacy incorporates engaging mentor texts that spiral content from TEKS throughout Making Meaning, Being a Writer, and Word Study lessons, thus encouraging student-engaged talk that leads to student-facilitated learning. Tell us briefly about your classroom and how long you’ve been implementing Collaborative Literacy. My second-grade classroom is constructed of different levels of learners from high leveled Gifted and Talented, Striving Students, and ELL students. At Cockrell Hill Elementary, our learning environment is centered around the concept of global learners. I have been implementing Collaborative Literacy for about eight months of two combined school years. I’m excited to be able to use the complete program for the entire school year. What do you appreciate about Collaborative Literacy? I appreciate how Collaborative Literacy not only holds the students accountable for their own learning through turn-and-talk, but it teaches much-needed social skills to develop the overall social aspect of a developing child. In addition, the Making Meaning vocabulary curriculum is enriched with higher-order vocabulary to challenge student thinking. All students benefit from the portion of the lesson when it comes to acting out a few words during the week. The class and I are so animated with demonstrating the words, thus making the words unforgettable. The open-ended questioning leads to great discussion between partners and teacher. What have you noticed about the students’ learning and engagement? I’ve noticed that students are excited and knowledgeable about objectives they are learning as the program moves in complexity each week. My students can better communicate their understanding of vocabulary and content learning objectives. The students and teacher use the prompts to help build great communication skills with our partners and class. What shifts have you seen in student behavior as a result of Collaborative Literacy? As a result of Collaborative Literacy, students are being more intentional with showing respect to any speaker. Students are more reflective of their actions during partner work and show awesome tolerance to other students’ responses regardless of the other students’ independent levels of understanding. How has Collaborative Literacy impacted your own instruction and learning? Collaborative Literacy has engaged me better into the curriculum and has taught me how to break down a concept for a student to a much easier level. It has helped me to cross-teach concepts from one text to the next text. The program also has helped me better acknowledge vocabulary within text for all levels of learners. What advice would you give to an educator who is new to Collaborative Literacy? The best advice I can give another educator is, Set a high expectation that all students must participate on partner work and guided discussion. The teacher should have an established transition signal and a welcoming gathering area in place to enjoy the lessons by adding that teacher spark and creativity to every text read, anchor chart created, and new concept learned. What an AMAZING curriculum addition to my classroom!